JERUSALEM (CNS) — Two teenagers were arrested in connection with the vandalism of two Christian sites next to the Old City. 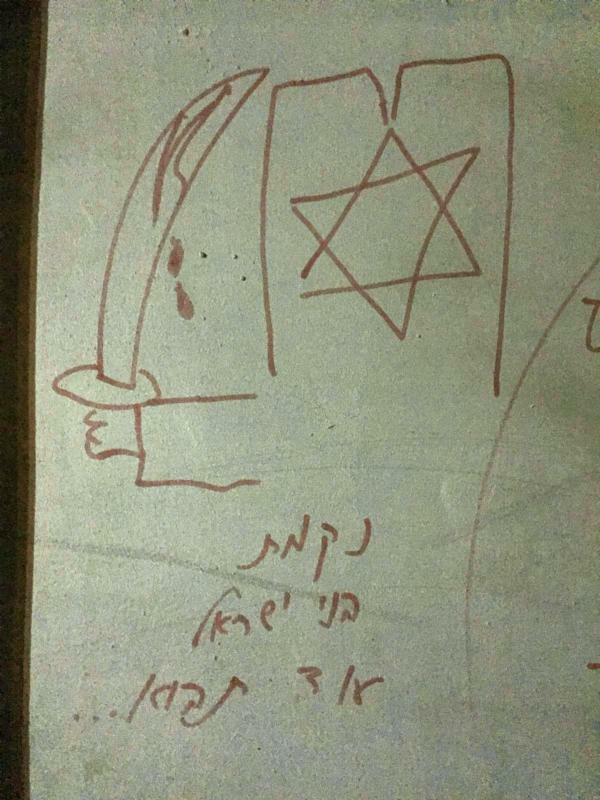 Because of their age, 16 and 15, authorities released few details about the incidents in which anti-Christian slogans in Hebrew were discovered scrawled on the walls of the Benedictine Dormition Abbey monastery and the neighboring Greek Orthodox seminary, both located on Mount Zion next to the walls of the Old City. The vandalism occurred Jan. 16 and 17, a week after a Christian cemetery was desecrated outside of Jerusalem. Israeli police spokesman Micky Rosenfeld told the media that police were continuing their investigation to determine whether there is a connection between the latest vandalism and other anti-Christian incidents in the Old City. He said security has been heightened in the Old City. The Latin Patriarchate of Jerusalem denounced the acts and repeated its belief in the importance of education toward tolerance while urging “follow-up” against those who incite intolerance against Christians. For the Dormition Abbey, which is believed to have been built on the spot where Mary died, it was the fifth time the building was vandalized in recent years. A fire that broke out at the monastery in February was determined to be arson, and another arson incident took place just after Pope Francis’ visit to the monastery in May 2015. In 2012 and 2013, anti-Christian graffiti also appeared on abbey walls. Benedictine Father Nikodemus Schnabel, spokesman for the abbey, said in a statement Jan. 17 that the red and black paint the Israeli police used to crudely and unsuccessfully try to cover up the graffiti did even more damage. He noted that between the nights of Jan. 16 and 17, there had been a loud and aggressive gathering with music and chanting by “Jewish right-wing radicals” in their neighborhood near the contested Tomb of David site. He said such disruptive gatherings have taken place nearly every Saturday for three years. The graffiti, he said, was found in an area of the monastery that is not monitored by security cameras despite what he said was promised by Israeli security authorities in the summer 2013 when several monastery cars were badly damaged and hate graffiti was discovered on monastery walls. Rosenfeld said he was unaware of such a promise about cameras and that police were investigating the most recent. As they have done since 2011 after other incidents, Tag Meir, a faith-based organization working to end racism in Israel, sent a delegation of members in support of the monastery and seminary to denounce the attack.